At our downtown location, we offer 24-hour drop off services, so that you can have your garments and articles cleaned on your time. We offer a number of services on top of our traditional garment cleaning services, including wash, dry, and fold services, specialty item cleaning, household article cleaning, emergency article cleaning services, alterations, and tailoring. Learn more about our individual services below, and reach out to us if you have any questions, or if you’d like to schedule our pick up and delivery services. Count on Best Cleaners for traditional dry cleaning services with the peace of mind that your garments are cleaned with green processes and products. We provide eco-friendly garment cleaning services for any of the articles in your wardrobe, including business wear, evening wear, sports wear, and accessories. If you have a suit that could use a thorough cleaning, or a professional uniform that has endured a coffee spill, we can help. We’re happy to work with various business wear items, including suits, dresses, slacks, button-ups, and more. We know that these articles of clothing often require special care, due to their fabric, and the value of the garments. Your evening wear likely includes some of the most expensive articles of clothing in your wardrobe, and some of the clothes that have the most delicate materials and most specific cleaning recommendations. On top of that, your evening wear probably includes some of your most cherished items. So, when you have a shirt with a stain on it, or you need to clean that little black dress you took out on the town last weekend, we’re here to clean your garments for the next evening. Sportswear is often made out of less traditional materials (e.g. lycra, nylon, polyester), and it usually sees more vigorous use than the rest of your clothing. When you have sportswear that is covered in grass stains, we have the solution. Count on our professional cleaners to make your sportswear look good, and feel clean. Ties, scarfs, et cetera — we clean it all. If you have wine on your tie, count on us for our wardrobe accessory cleaning services. Feel free to read more about our garment cleaning and restoration services, or schedule a free pick up and delivery right here online. We work with a variety of specialty items as well. If you have a wedding gown that needs cleaning, a fine rug that requires attention, or you need to have a vintage garment restored, we can help. We also work with leather, suede, and fur. Your wedding night was likely full of dancing, celebrating, and eating cake. So, your dress can end up rather messy at the end of the big day. If you need a thorough, yet delicate cleaning of your wedding gown, you can count no Best Cleaners. Fine rugs collect dust, dirt, and dander over time, which can leave your favorite carpets looking lackluster and stinky. If you have a rug that requires cleaning, we’re the crew to call. Vintage garments require cleaning too. And often, these garments require extra care, as well as restorations, in order to maintain their integrity. If you have vintage articles, we can help with a restoration and cleaning. Leather, suede, and fur all have special care and cleaning needs. If you have a leather jacket, suede shoes, or a fur coat (or any other article made of these materials), we can clean and mend them. It can be impossible to clean various household items in a traditional washing machine. If you have oversized items, or items with delicate fabric, we can help. We provide cleaning services for household items including comforters, blankets, shams, rugs and more. Again, we also provide free pick up and delivery services! Your blankets can be cumbersome to wash, and it may be impossible to wash comforters and duvets in your home washer. We make comforter and blanket cleaning easy and accessible, so you can rest assured that you’re sleeping on fresh, clean fabric. Your pillow shams are likely made out of specialty fabrics that require dry cleaning. We can clean your shams without damaging their materials and patterns. The drapes around your home are probably too large to clean in your home washer and dryer, and they should probably only be dry cleaned. When your drapes are full of dust, dander, and odor, we can give them a thorough cleaning. The rugs around your home endure loads of traffic, leaving them full of dirt, dust, hair, and smells. If you have rugs that are lackluster, rugs that could use a deep cleaning, we’re here to provide you with a thorough cleaning that will leave your rugs looking and feeling great. You can learn more about our household item cleaning services, and feel free to take advantage of our free pick up and delivery services! On top of our traditional dry cleaning services and our wash, dry, and fold services, we also provide alterations and tailoring services. If you need to have your clothing altered, we can help. From hemming to slimming to tapering, we’ll help you to make sure that your clothes hug you, ensuring that you look your very best. If you’re looking for a custom tailored piece, we do that too! We tailor dresses, suits, you name it. Call us to learn more about our tailoring services. 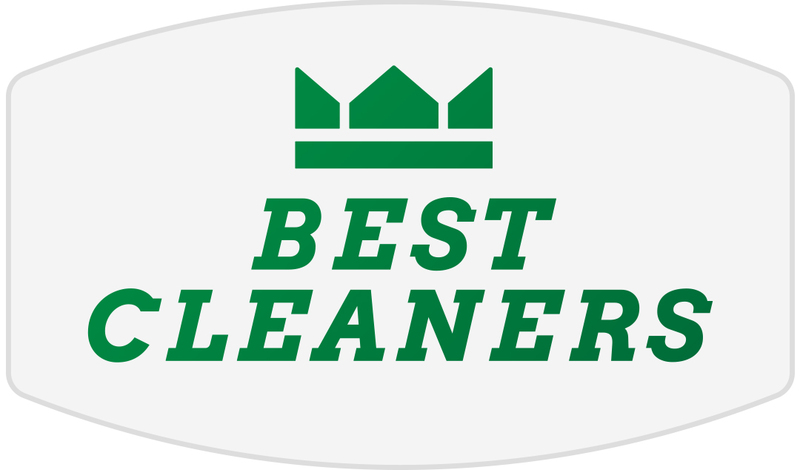 To clean any and all of your garments, fabrics, and other household items, count on Best Cleaners. We have seven convenient locations throughout Orlando, including a downtown location off of Central Boulevard. Get in touch with us if you’re curious about any of our specific services, and feel free to take advantage of our free pick up and delivery services!